Bry and I headed over to the Norwich Skatepark for a quick session prior to meeting up with Steve and road tripping to Rhode Island. 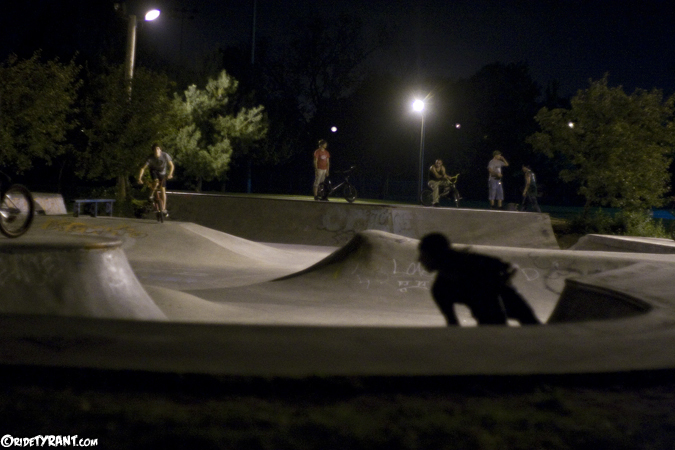 Once we made it to RI we hit up the Pawtucket Skatepark for 45 minutes at dusk. The place was mobbed, but locked and we had to jump the fence...odd? Around 7 we made our way to Circuit for the FBM shindig. The Thousand Yard Stare movie sneak peek was awesome, looking forward to the full length video later this Fall. On our way home we hit up the Providence Skatepark and the place was empty. 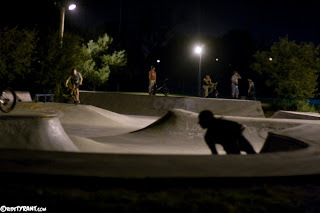 We got a solid 20 minutes in before riders and skaters appeared out of the darkness and the place was hopping at like 11 at night. The local riders were young and all super flowy. So rad watching those kids shred that park going 100 mph and boosting everything! All in all it was a kick a$$ evening trip, especially for a Tuesday.